Looking for the best 4th of July events in the Orlando area? Look no further…. we thought we would put together this collection of all the best 4th of July events and Fireworks displays happening in Orlando and all around Central Florida this weekend. So grab some friends and head out to have some fun celebrating our Independence. Hooray for the long weekend and hooray for the good ole’ USA. 4th of July Celebration at Avalon Park: July 2nd- apple pie bake-off, bike parade, wet/dry bounce park and live performances. 5 p.m. Saturday, Avalon Park, 13001 Founder’s Square Drive, Orlando, free, 407-658-6565. Olde Fashioned 4th of July Celebration: July 2nd- patriotic music performed by the Bach Festival Brass Band and Bach Festival Choir, horse-drawn wagon rides, Orlando Cloggers and more. 9 a.m. Saturday, Central Park, 251 Park Ave. S., Winter Park, free, 407-599-3463, cityofwinterpark.org. Baldwin Park Independence Day Bash : July 3 – This annual event from 5:30 – 9:30 p.m. will kick off with a festival in the Village Center of Baldwin Park and will end with a spectacular choreographed fireworks show over Lake Baldwin. Admission: Free. Celebrate the Fourth of Jul-Eye on The New Orlando Eye : July 3rd- 5th- The Orlando Eye and I-Drive 360 are hosting a special weekend celebration in honor of Independence Day. Events include live entertainment and family-friendly activities throughout the weekend, culminating with a 20-minute patriotic lighting show on the 400-foot observation wheel, where more than 64,000 LEDs will be illuminated in red, white and blue starting at 9 p.m. each night. Admission: Free. Red Hot & Boom: July 3rd- Red, Hot & Boom is an Independence Day celebration that features big-name performances Cranes Roost Park in Altamonte Springs. The event also features food, drinks and a fireworks display. The event hours are 4 to 11 p.m. The fireworks show begins at 9:30 p.m. (weather permitting). Admission: Free. Wall St. Plaza’s Red, White & Brew: July 3rd & 4th- Celebrate our American Independence on Wall St. in downtown Orlando with 2 nights of block parties featuring $4 Sam Adams, great food, outdoor games, tons of giveaways, live music and more! Mt. 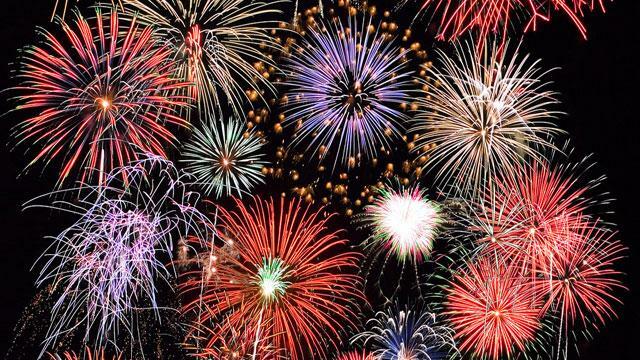 Dora Fireworks on the waterfront: July 3rd-The celebrations begin on July 3rd at 5 pm with live music and activities for children. The fireworks begin at 9:15 pm. Fireworks at the Fountain: July 4th- Free fireworks display and laser show around Lake Eola in downtown Orlando. Pack picnic baskets and comfy blankets for an old-fashioned summertime picnic at downtown Orlando’s Lake Eola from 4 – 10 p.m. Admission: Free. Winter Garden Fireworks Display: July 4th – Annual 4th of July Celebration each year with fireworks over Lake Apopka. The festivities begin at 5:30pm with different games and activities taking place in Newtown Park that have included craft vendors, moonwalks, and live music in years past. There are also picnic tables, a public pool, and playground. The fireworks take place at 9:15 pm. St. Cloud Fireworks: July 4th- St Cloud will have music, food, games, a beer tent, a Veteran Tributes, and The Osceola Community Choir will pay tribute to our independence singing Homeland just before the fireworks get underway. The activities on July 4th take place from 3pm until 10pm. Disney’s Celebrate America! : Fourth of July fireworks concert and display. 9 p.m. Friday-Saturday, Magic Kingdom. Red, Brick & Boom: 3-D fireworks display. 8 p.m. Friday-Sunday, Legoland Florida, One Legoland Way, Winter Haven. Rockin’ 4th of July Celebration: 10:15 p.m. Saturday, Disney’s Hollywood Studios. SeaWorld’s Fourth of July Celebration: whales, lights, a performance the American Military Spouses Choir and fireworks. July 4. The BIG Celebration! : includes music, games, children’s crafts, face painting, animal encounters and celebrating the birthdays of Jahi and PJ with cake. 10 a.m. Saturday, Central Florida Zoo and Botanical Gardens, 3755 N.W. U.S. Highway 17-92, Sanford.